I finally saw sense — or admitted defeat, depending on how you look at it. After what feels like a lifetime of chasing my tail as I tried to see everything —or at least everything that was hotly tipped and/or well-reviewed — I simply gave up the battle. This was partly due to timetabling — having opted to take most of the summer out by spending 10 weeks in the US (a week in New York, then nine more in Provincetown), some things had to pass me by. And some of it was personal — spending nearly three weeks with my mother during her final illness and death meant missing more, which made me realise there were more important places to be than at the theatre. And then my own brief (but significant) bout in hospital — having a stent re-done to the right artery to my heart, for which I was admitted on the same day my mother died — also gave me a new, if long overdue, sense of perspective. So what if I didn’t see yet another production of Fiddler on the Roof? 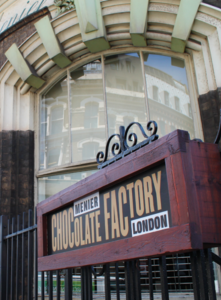 I’d only just recently seen an entirely thrilling version of the show off-Broadway, performed in Yiddish, so when the Menier Chocolate Factory could not accommodate me for their last preview (I couldn’t go to the opening the next evening as I was heading to New York), I simply cancelled it from my list of shows I needed to catch. In fact, I’ve now missed four of the last five productions there — and even if it is geographically one of the closest venues to my home, convenience alone isn’t a reason to go. I’ve not actually missed anything much (the other shows I missed were Kiss of the Spiderwoman, The Gronhom Method and Spamilton). 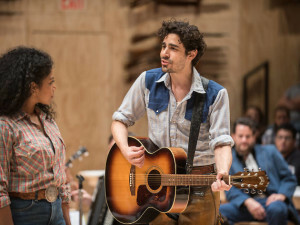 Besides, anything really good will transfer (so I may yet catch Fiddler if it warrants a move), as for example with the Almeida’s The Twilight Zone that I missed in Islington but will now be able to see when it transfers to the Ambassadors. I also missed the Almeida’s UK premiere of Clare Barron’s Dance Nation. 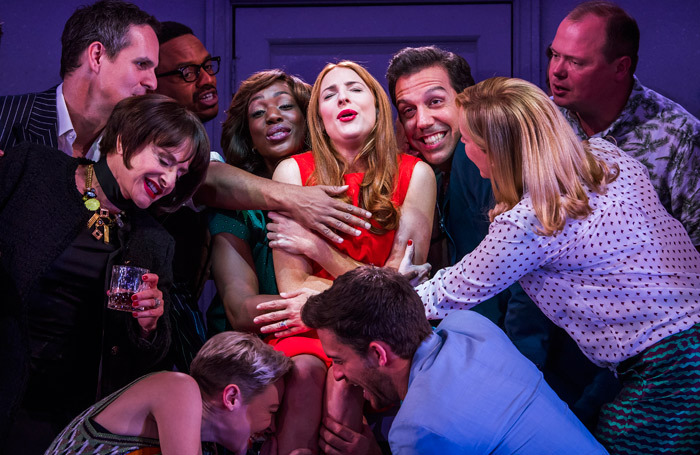 Yet it remains one of the most essential of all London theatres, currently in the West End with Summer and Smoke at the Duke of York’s, the same theatre that Mary Stuart also moved to. 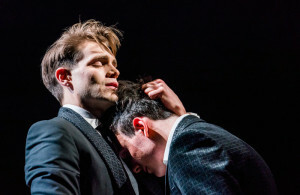 I’ve also missed multiple shows at the Donmar (Aristocrats and Measure for Measure) and NT (Translations, Julie, Exit the King, Stories) amongst other theatres I used to regard as essential visits. I was also sorry to miss quite a lot at the Royal Court, including Poet in da Corner and ear for eye, and some of what was seen at the Bush, including Misty (which I also missed when it transferred to the Trafalgar Studios). I didn’t manage to get to the Orange Tree at all this year, and am still yet to visit the Yard, both of which are becoming increasingly high-profile. Rather less essential, I missed much of what was produced at Hampstead Theatre (though I was sorry not to revisit The Humans that transferred there with its original Broadway cast). 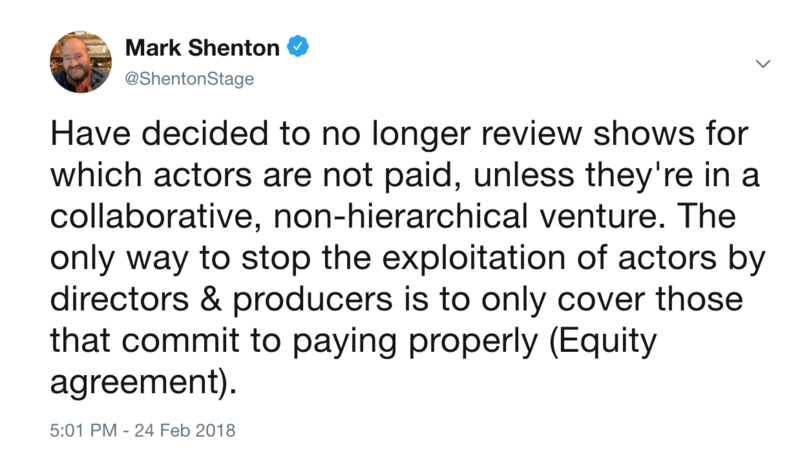 I amplified my reasoning here, but the abbreviated version is that I could no longer be complicit in a system of the exploitation of actors (however complicit they may themselves be). 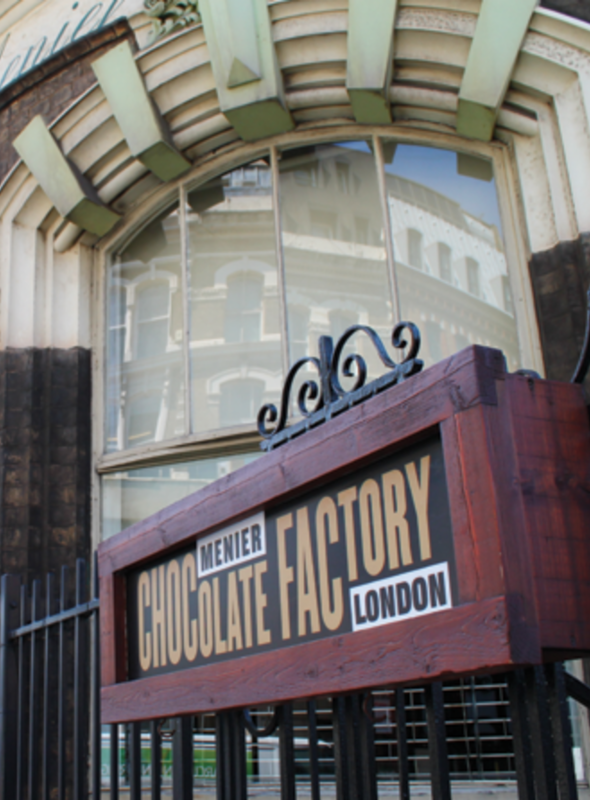 It has meant that another previously favourite theatre of mine — the Union, like the Menier also a venue that is local to me — has become mostly off-limits. (I attended one show It’s Only Life that did pay its actors back in June). I also won’t usually go to the Finborough, even though I’d been very keen to see its revival of a rarely seen 80s musical The Biograph Girl, which it billed as the first professional London revival of the show. 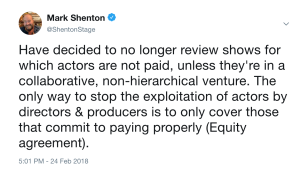 Except that professionals actually get paid for their work: when I enquired how much these actors were being paid, I was informed it was £50 a week — which worked out at £7.14 a show. Given that full price tickets were £20 each, one ticket paid for nearly three actors! As much as I count the shows I’ve missed, I should also celebrate the ones I’ve caught and the new venues (or new to me!) I’ve managed to visit this year. I was thrilled by my visit to the new Storyhouse in Chester, and long overdue — by about 35 years — to visit the Mill at Sonning, a delightful dinner theatre in Berskhire. And I made a first visit to the charming new Barn Theatre in Circenster, and returned to Kilworth House for the second year running. I also visited Theatr Clwyd not once but twice, and made multiple visits to Manchester.